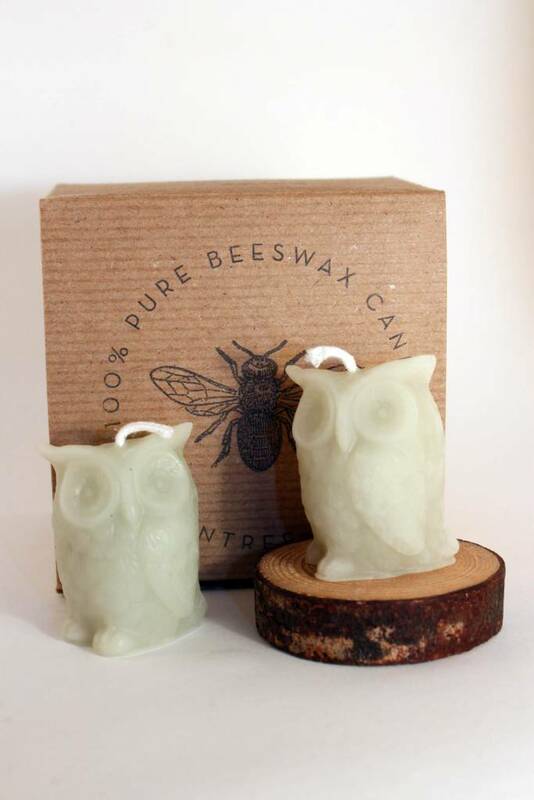 2" h x 1.75" w. 100% pure beeswax. 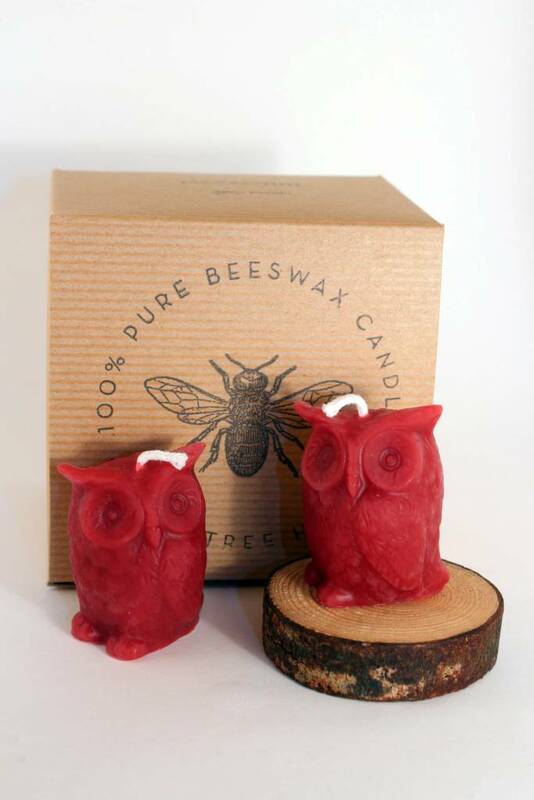 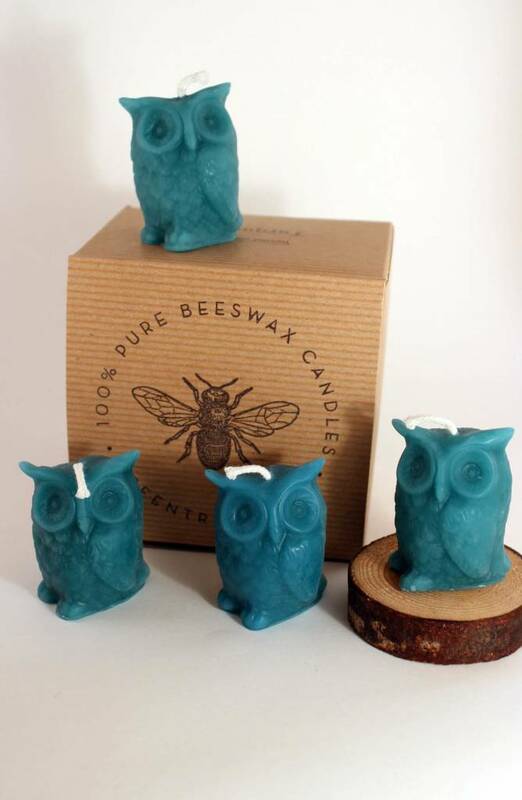 These nested owls come in a set of 4. 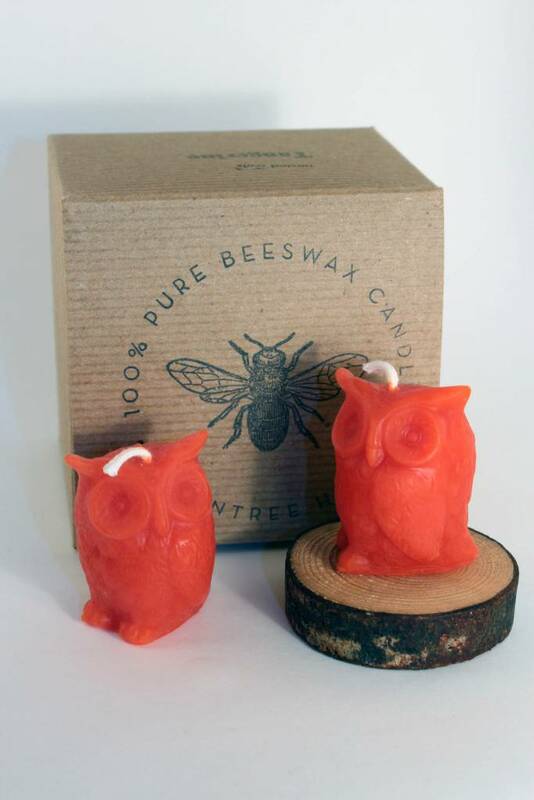 Dot them around the house for a fun woodland vibe. 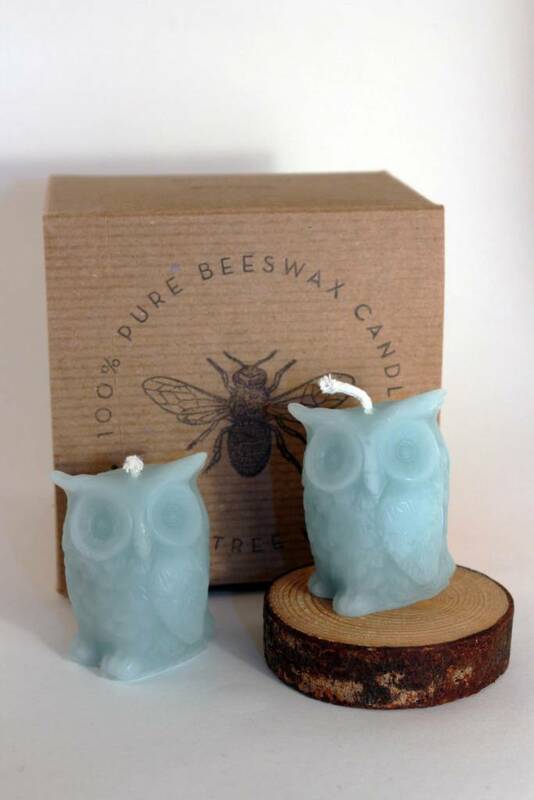 Each owl has a 1-2 hour burn time.